I know, I know, what happens in Vegas stays in Vegas even though this slush of a bird has lit up its nose with so much booze it turned his entire face red with swelling. Either that or he is so embarrassed by another story on Breitbart detailing another Hillary lie he is ready to burst with anger. Linda has just informed me that I do not have any evidence this bird is a boozer nor does she believe birds give a crap about politics. Fine, ladies and gentlemen of the jury, please overlook any comments I may have made previously regarding this sad drunkard liberal excuse for a bird. Linda just gave me a giant sigh … that would officially be her 33rd sigh at me this month breaking her previous record of 26. To be honest, that number is highly skewed thanks to the unhealthy outcome of my last race – got a boatload of sighs for that one. 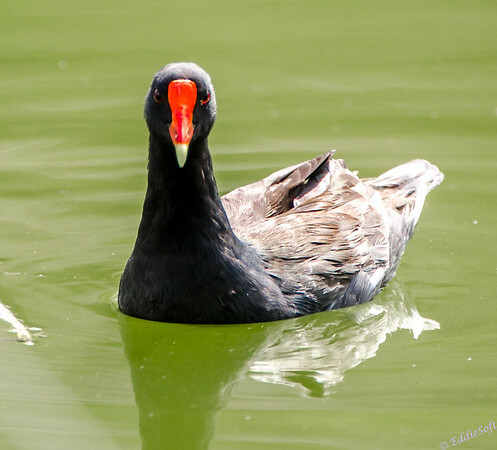 Since you are not likely to find this particular bird using drunkard, liberal or a host of other terms that were left off my description, I better simply tell you that this bird is a Common Gallinule. 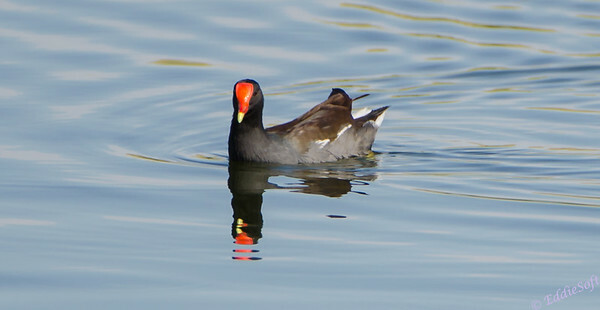 This is not a new bird for my list since it appeared previously (link here). The shots in that previous post were less than stellar … downright soft. This new set from Henderson finally gives me shots I’m not embarrassed to show people. The ones above are far crispier but there is still room for improvement … isn’t there always!?! 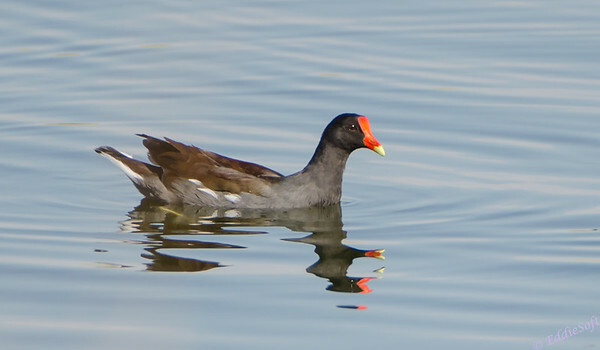 For the trivia buffs, this bird was originally referred to as the Common Moorhen. Due to repeated offenses of public intoxication, paddling under the influence and public displays of indecency brought on by heavy ingestion of aged rye, the Moors revoked their namesake and replaced it with a word that means “drunken clown face” in Gaelic … okay, let’s make that 34 sighs this month. 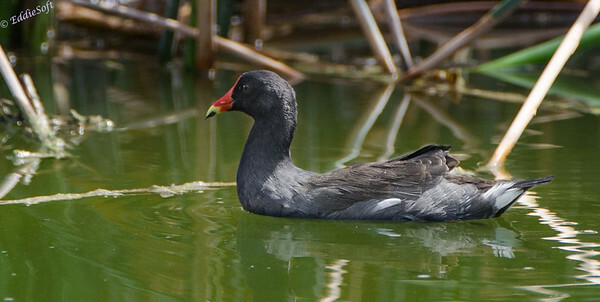 Better close this post before the Moorhen Industry of Misinformation tracks me down and tries to reprogram me. Hey, I really like your new blog design!! Very elegant and very cool. I wish I could get this theme for my birding blog. Congratulations! I’m looking forward to commenting on your previous posts once you get this new version updated. Thanks – I am still getting the kinks ironed out on this and the stress level has been super high to get it to this point with minimal impact to my loyal readers!